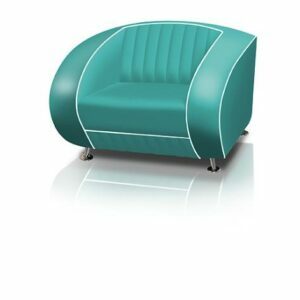 This colorful easy chair offers enjoyable seating comfort during dining as well as thereafter. 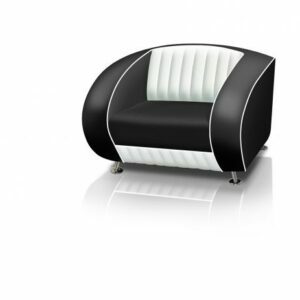 The bright colored upholstery and remarkable white stripe make this lounge chair an intriguing presence in any room. 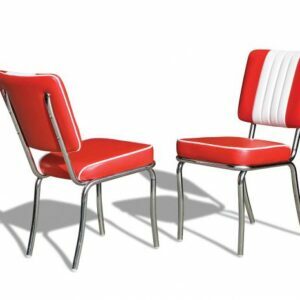 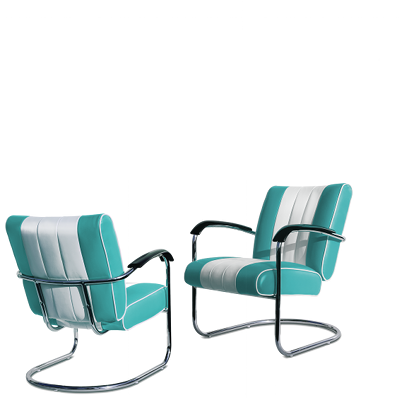 The chrome armrests and frame provide this chair with a vintage character that takes your guest back to the fifties.